Million Dollar Marketing Blog: How Tata built the empire of Trust in the world of suspiciousness? How Tata built the empire of Trust in the world of suspiciousness? Recently, I have realized one book about Brand Tata and going to share some of the lines.Many graduates and engineers wish to join Tata as an employee and many companies desires to become their partner or client,simply because Tata always serves to their trust. Ask anyone what they value most about Tata and the Tata brand, and there is a high chance that this is the first word you will hear. People trust Tata, because they feel that they can trust. This becomes another virtuous circle: the more trust the group generates, the easier it becomes to generate further trust. There is a very strong and symbiotic relationship between the Tata brand and the individual company and product/service brands. But importantly, as suggested earlier, the relationship too does not just go one way. 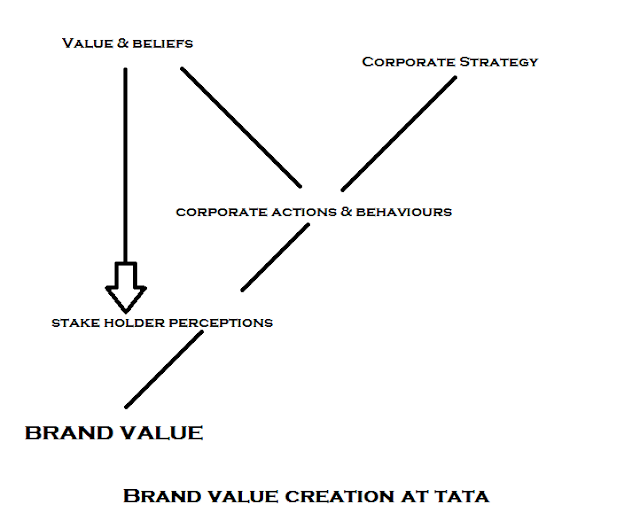 The Tata brand indeed does provide “Air cover” or an umbrella, but it also draws strength in return from the individual brands. To a large extent ,brands are a form of uncodified knowledge.People knows and realizes what they value about brands,but have difficulty putting this into words.I asked my friends and colleagues what they valued about the Tata brand,a brand they had agreed was a very trustworthy one. They thought about this some time and outcomes were like trust,reliable and innovation.But they found it very hard to describe the brand as a concept. They are putting their money where their ideals are. Indians know this, and this is one reason why their brand outscores its rivals so heavily in every dimension. That's how TATA keeps on going with the value and ethics and fuels the key area "Trust".We shall discuss the whole story in the next post.